Grizzly bears were once common throughout the Clearwater Basin and the Bitterroots. All that changed within one-hundred years of the Lewis & Clark Expedition passing through the region in the early 1800′s. Trappers, hunters, homesteaders and ranchers soon took their toll on the “silver-tipped” grizzly bears found along mountain ridges, prairies and various drainages of the Lochsa, Selway and forks of the Clearwater. Following the fires of 1910, thousands of domestic sheep soon grazed the Clearwater and Nez Perce National Forests, as well as cattle being turned loose in mountain meadows. As a result, stockmen greatly feared grizzly bears and killed them on sight. (Due to forest succession and other issues, domestic livestock grazing no longer occurs on the majority of the Nez Perce-Clearwater National Forests). The creation of the Selway Game Preserve around 1919, which was for the purpose of preserving elk populations, did little to protect grizzly bears due to the Idaho Fish & Game’s continued policy of allowing the killing of all kinds of bears. By the 1940′s – 50′s grizzly bears were all but extirpated from the Bitterroots and Clearwater. Around the turn of the 20th Century, the U.S. Fish & Wildlife Service was on the verge of reintroducing grizzly bears into the Bitterroot Mountains of Montana and Idaho. While many groups in the conservation community were critical of the “experimental, non-essential” recovery plan, including the size of the recovery zone and the appointment of a highly politicized “Citizen Management Committee”, the newly elected Bush administration pulled the plug on the entire plan. Since that time, the federal government has strictly looked at recovery of grizzly bear populations in the North Cascades Greater Ecosystem, Cabinet-Yaak Greater Ecosystem, Northern Continental Divide Ecosystem and the Greater Yellowstone Ecosystem. It’s worth pointing out that the Salmon-Selway Greater Ecosystem offers the best and largest habitat for grizzly bears in the Lower 48. It’s also worth noting that the 2000 Bitterroot Ecosystem Recovery Plan Chapter did not implement the best-available science and instead created artificial boundaries for the planned recovery zone, leaving out excellent habitat in the N. Fork Clearwater, upper reaches of the St. Joe drainage, and other places. In 2007, a grizzly bear was tragically shot in the roadless Kelly Creek drainage (which is a tributary of the N. Fork Clearwater) on the Clearwater National Forest by a client of an outfitter. The killer claimed it was a case of mistaken identity and he was not prosecuted. 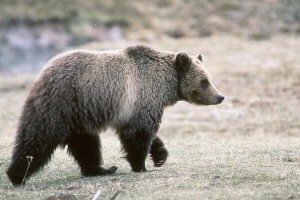 DNA analysis confirmed that the bear shared similar genetics to grizzly bears in the Selkirk Mountains of north Idaho. The dead bear was the first confirmed sighting in north-central Idaho in over sixty years, although there have been other credible sightings (but never verified) prior to the turn of the 21st Century. In 2017, the U.S. Fish & Wildlife Service wrongfully stripped protections afforded under the Endangered Species Act for the Greater Yellowstone Ecosystem population of grizzly bears. The bears are now under state jurisdiction or management (Montana, Wyoming, Idaho) and subject to hunting. Under these circumstances, trophy hunting and killing of grizzly bears could greatly hamper dispersal, connectivity, genetic exchange and the natural recovery of bears in the Greater Salmon-Selway Ecosystem and other identified recovery zones. Grizzly Times is another excellent source of information.